President Michael D Higgins. Photograph by John Kelly. 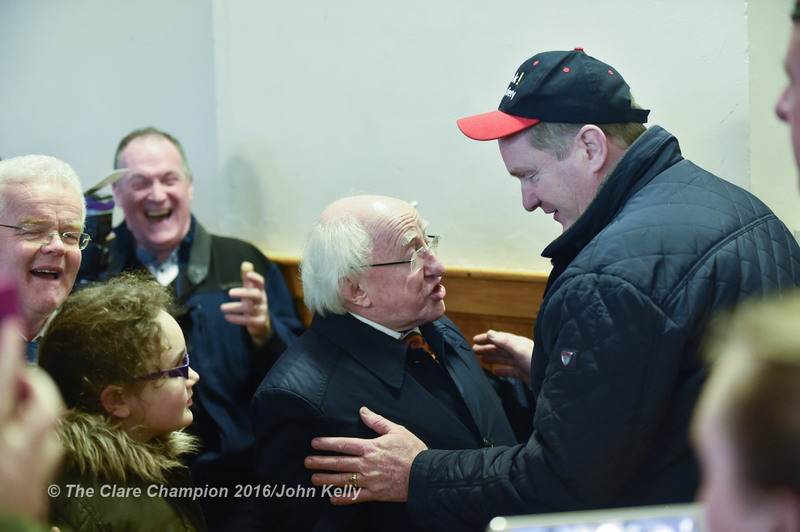 President Michael D Higgins visited Labane in South Galway today (Monday) and met some the farm families and business people affected by severe flooding. “I took the opportunity of thanking all of the agencies and volunteers who have been assisting those affected and of paying tribute to the extraordinary sense of community that has prevailed for nearly a month now,” President Higgins said. The President expressed thanks to the Army who have been in Labane since December 9. “I had the opportunity as well of directly thanking the voluntary services, the State agencies and the local authorities, who are all working together with a great sense of cooperation. 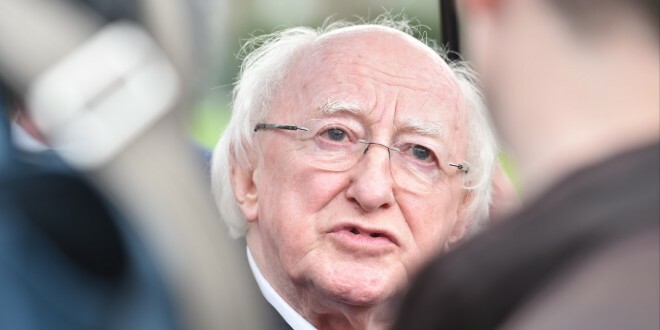 “While everybody was very tired and those who have had to leave their homes are anxious and distressed, there was a great sense of determination to overcome these recent events,” President Higgins concluded. 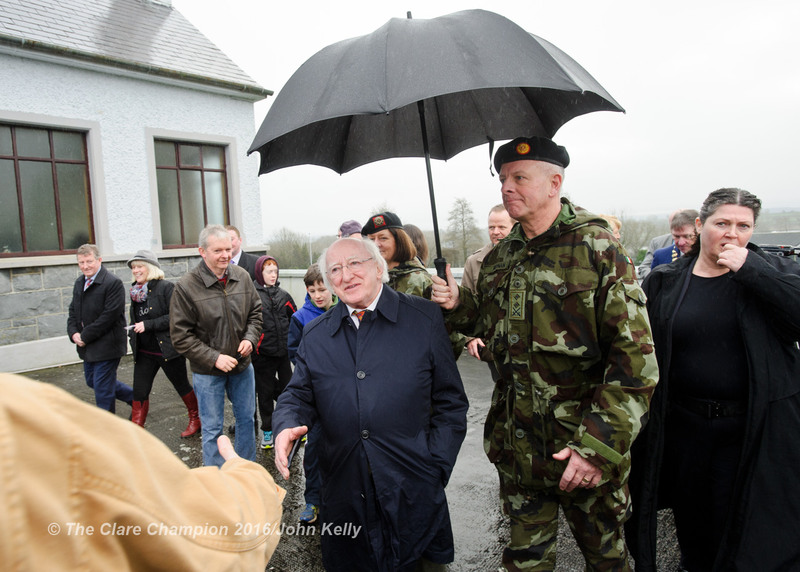 President Michael D Higgins meeting locals during his visit to Labane to meet the victims of flooding in the area. Photograph by John Kelly. 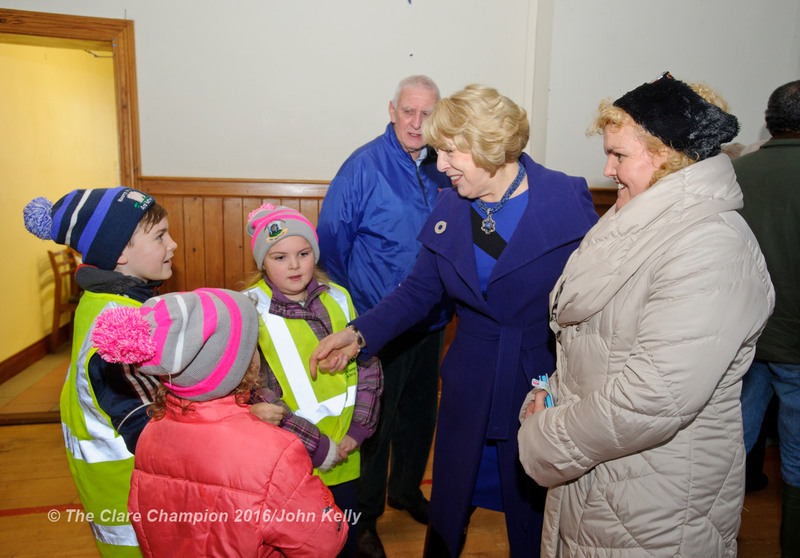 Mrs Sabina Higgins chatting with Eve, Alex and Annabel O’Flynn, as well as their mothe,r Catriona O’Flynn and grandad, Joe O’Flynn during her visit with President Michael D. Higgins to Labane to meet the victims of flooding in the area. Photograph by John Kelly. 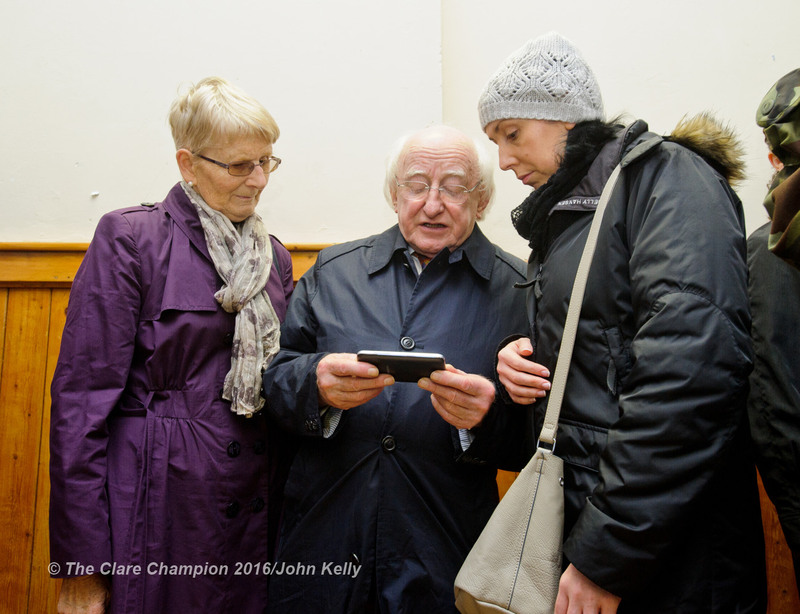 President Michael D Higgins chatting with Sarah Burke and her mother-in-law, Sheila Burke of Cahermore, Kinvarra, who have houses affected by flooding, during his visit to Labane to meet the victims of flooding in the area. Photograph by John Kelly. President Michael D Higgins chatting with Peter Gohery of Eyrecourt, IFA National Council Representative, during his visit to Labane to meet the victims of flooding in the area. Photograph by John Kelly.